Back in January I had written about how much I love EV-DO. Well things just got even better. 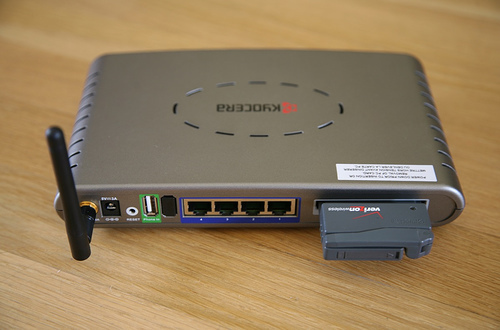 I recently purchased the Kyocera KR1 Mobile Router, which is a 4 port D-Link router that has a slot for EV-DO cards and a USB port for EV-DO phones so you can setup and even share an EV-DO broadband connection through a wireless network or ethernet connection. I ordered it through the fine folks at EVDOinfo.com, who provide excellent up-to-date EV-DO news and info. The unit is fairly compact (the size of a normal 4 port router) and even comes with a vehicle power adapter. This really opens up the possibilities for how this can be used. In fact, imagine its potential with a portable power supply. 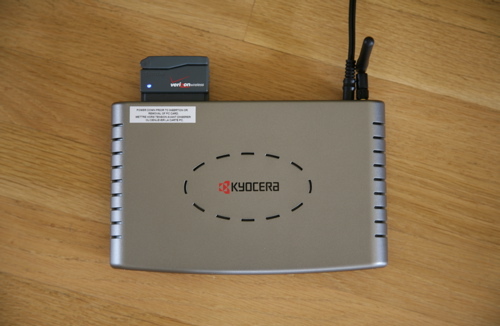 The setup was a breeze (standard router configuration wizard) and it worked with my existing Kyocera KPC650 card that uses Verizon’s BroadbandAccess EV-DO network. 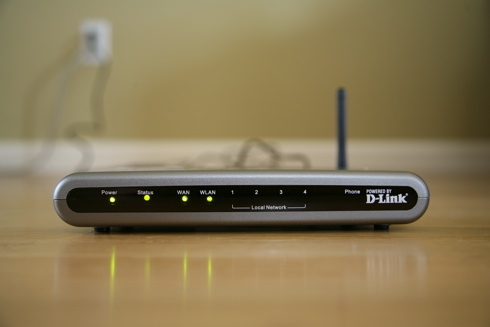 I had the router configured as an access point with a working wireless network in about 5 minutes. I was also able to setup WPA encryption, with no problems connecting to the network using both Mac and Windows. 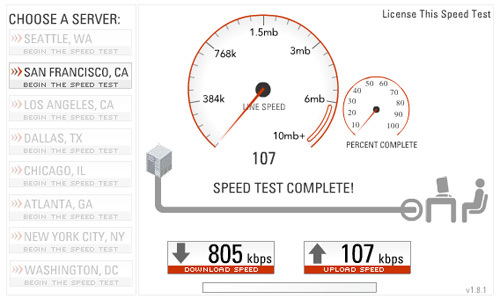 I did some speed tests from Laughing Squid’s San Francisco headquarters and I’ve been getting around 500-900 Kbps down and 100-120 Kbps up (the max for EV-DO is 2.4 Mbps, which is in fact possible in some areas). Now my portable broadband network is ready to go. I just show up with it, plug it in and in a minute or so the wireless network is live. That’s all there is to it. All I need is power and Verizon EV-DO coverage. Have an old laptop without a wi-fi card? No problem, just plug it into one of the 4 ethernet ports. 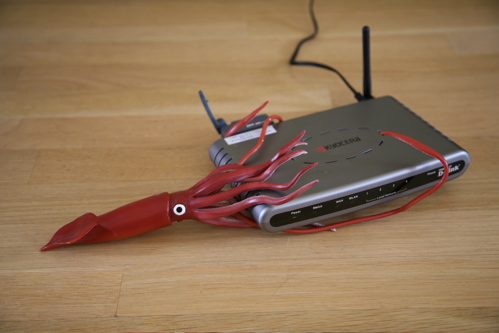 I’m going to bring the EV-DO router up to Gnomedex this week and see if I can get it to work at the conference and maybe do some testing with distance and number of users.